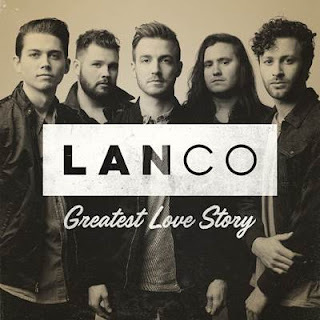 LANCO, released their new single “Greatest Love Story” to country radio this week, which is available at all digital retail partners now. “Greatest Love Story” goes for adds on March 6 and has already garnered an impressive 9 million streams, landing the band on the Bobby Bones' highly-regarded “Bobby’s Class of 2017” list. Written solely by lead singer Brandon Lancaster, “Greatest Love Story” tells a timeless story of a relationship that sustains the spans of years and distance. Lancaster reveals the narrative behind writing the song in the single’s lyric video, premiering today on PEOPLE.com. LANCO is currently putting the final touches on their debut studio album with award-winning producer Jay Joyce (Eric Church, Cage The Elephant, Little Big Town). The 'band to watch' according to CMT, Spotify, Rolling Stone and more, brings their electric live show home on March 1st for the band’s first Nashville headlining concert at 3rd & Lindsley. After joining CMA Duo of the Year, Brothers Osborne on their Dirt Rich Tour, LANCO hits the road again, joining Dierks Bentley, Kane Brown and more for shows this Spring. For more information on LANCO, visit LANCOMusic.com.